Juniata, is an inclusive, caring community. "The faculty and staff are personally invested in every single student so finding guidance and support is easy." The Student Affairs Staff works with and supports the faculty to provide conditions that promote learning and personal development. 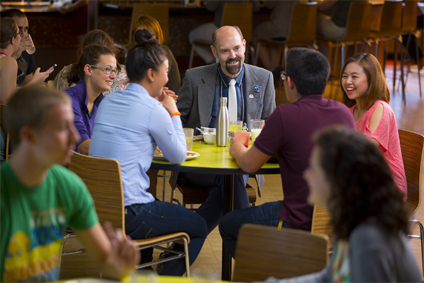 Specifically, Student Affairs Staff works to create a safe learning environment which offers opportunities for students to be involved in activities and programs; an environment free from harassment; an environment that values and supports diversity; and a community in which individuals treat one another with civility, respect and compassion. Offering opportunities in all aspects of campus life. Expecting and encouraging student leadership and participation in campus governance. Recognizing and affirming students’ potential and achievements.